Brook Allen - Brook Allen has a passion for ancient historyespecially 1st century BC Rome. Her current work is a trilogy on the life of Marcus AntoniusMarc Antony, which she has worked on for the past fourteen years. 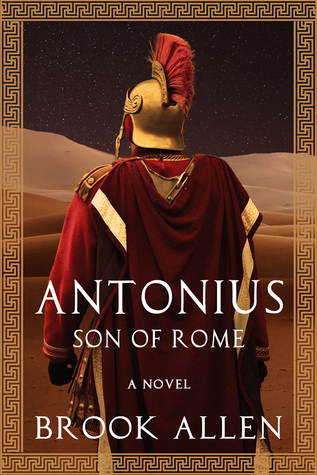 The first installment, Antonius: Son of Rome was published in March 2019. It follows Antony as a young man, from the age of eleven, when his father died in disgrace, until hes twenty-seven and finally meets Cleopatra for the first time. Book two, Antonius: Second in Command, will be published this fall and will detail Antonys rise to power alongside the notorious Julius Caesar. In researching the Antonius Trilogy, Brooks travels have led her to Italy, Egypt, Greece, and even Turkey to explore the places where Antony once lived, fought, and eventually died. While researching abroad, she consulted with scholars and archaeologists well-versed in Hellenistic and Roman history, specifically pinpointing the late Republican Period in Rome. Brook belongs to the Historical Novel Society and attends conferences as often as possible to study craft and meet fellow authors. Though she graduated from Asbury University with a B.A. in Music Education, Brook has always loved writing. She completed a Masters program at Hollins University with an emphasis in Ancient Roman studies, which helped prepare her for authoring her present works. Brook teaches full-time as a Music Educator and works in a rural public-school district near Roanoke, Virginia. Her personal interests include travel, cycling, hiking in the woods, reading, and spending downtime with her husband and two amazing Labrador Retrievers. She lives in the heart of southwest Virginia in the scenic Blue Ridge Mountains.